The Jersey Class War continued 1769 – 2012 or the Battle of Plemont. Then, near the end of the two day hearing (at La Societé Jersiaise building), Senator Sir Philip Bailhache announced that he had prepared and lodged this very day, a proposition for the Chief Minister, to purchase the land for the public. Of course the value of the land may well depend on what use or development is approved – if anything at all. Other common use words – such as “curtilege,” “green field,” or “brown field” – were also found to be ill-defined in Jersey planning and property law and the old legal humbug about the status of UK interpretations and/or UK case precedents was never far away…so much for 800 years of Jersey’s own, unique legal system. In spite of the National Trust for Jersey’s employment of a very gobby, pin-striped, smooth-talking Advocate with an Irish accent to present its lengthy case against the development - these two days were more like the “Last of the Summer Wine” gone ecological than the stereotypical image of youthful protest that appears at Planning Inquiries elsewhere. Sadly, the aged principal speaker for La Societé Jersiaise actually collapsed during the proceedings and had to be taken away in an ambulance. Equally aged Sir Nigel Broomfield (there being no shortage of titles or honours at this gathering) even observed how well run this Inquiry was (by Mr. Langton) and how it displayed none of the “ill-will” as expressed in other places. He respected the right of the Hemmings family to dispose of their property as they liked etc but he wanted the land cleared and restored to nature. He did not suggest this as a suitable site for his brainchild of Jersey’s New University though… presumably all those young students would be better contained in an old military fort in St Helier and not interfering with his coastal walks with his two spaniels. Of course, he didn’t really mean it because he does represent a widely held resentment against something – but it is just so difficult to determine what it is that needs to be protected and from whom? The class prejudice of the Jersey nouveau-riche was everywhere apparent. Those who might well have enjoyed a crazy night or dance at the campsite in its hey-day were now queuing to dis-own its very existence. For many, the only worse thing that could happen on this "headland" would be to construct “a housing estate” and there was no “proven demand for houses in this area” according to several speakers besides which the new occupiers would be building sheds and conservatories in a few years…oh heaven forbid! The pin-striped lawyer had even suggested that “homeless people were camping” in the existing buildings!!! Oh quelle horreur and what a sudden concern for deprivation!!! There were no visibly homeless people speaking at this “public” inquiry of course. In fact there was no voice here for the thousands of Jersey residents who live in appalling conditions…but they were unlikely to find a spokesman in this legal eagle or any others here to promote their needy cause. Everybody present here was adequately housed thank you very much…and whilst there were voices for puffins and bats, there were none for rats or cats either. Nobody much liked the 18th century "hamlet" style of the proposed housing clusters either - not sufficiently similar to traditional Jersey farmhouses for these lobbyists. Wonder if they drive 18th century style cars and fly off to their Breton holiday homes in hot-air balloons...? Dr Renouf waxed lyrical about Neanderthals who might have lived here 200,000 ago and how they had once looked across a wooded valley to Guernsey. Now “the home of our ancestors” was probably a cave in the cliff face 14 metres above the high tide line he suggested and the new houses might spoil the view from there…it was an odd, belated sort of planning objection on amenity grounds for people whose only presence now is the 13 teeth they left behind. Nevertheless, Alan Langton lapped up the Doctor’s evidence and wished he could hear more…but time pressed. Yours truly had tried to raise the question of the legality or propriety of the proceedings early on but Mr. Langton had soon declined my invitation to discuss that suggestion. In fact of course, Mr. Langton was one of the two Planning Inspectors who conducted the substantial review of the Draft Island Plan adopted in 2011 – so he had already heard and considered many of the arguments about Plemont before. His partiality or possible prejudice on this current occasion must be an obvious possibility – especially since he was supposedly appointed at short notice for this Inquiry after a preferred Inspector had dropped out. Surely it would have been better to wait for another more visibly impartial person to come along…? But it is not just the Inspector who might be flawed because the whole Planning Inquiry process has been subjected to much critical examination in many countries during recent years – and some of the test case judgments should not be ignored (try the Internet for a start re McGonnel v UK, Bryan v UK, Balmer-Schafroth v Switzerland etc etc). 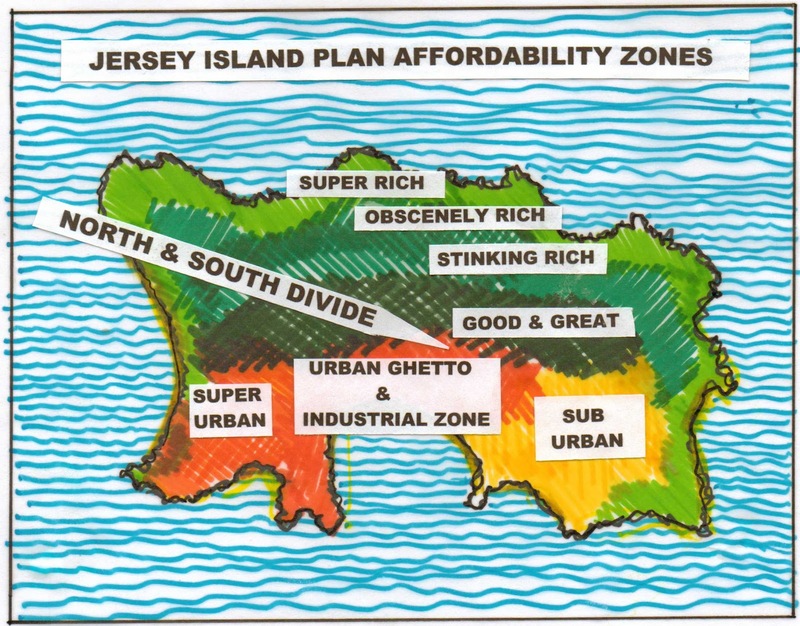 Although the current Jersey Planning Law seems to allow for Inquiries to be set up where public interest is great enough (and how might that be determined?) – the personal status of those who were objecting to this development was insubstantial. None were near-neighbors affected by the proposals so that none could claim any personal loss or grievance. They were all “assuming” some public role but why should the property rights of the owners be subjected to such an examination at all? Where is the “fair and impartial” hearing for the applicants and who is protecting the “peaceful enjoyment of their possessions” against such an assault on their integrity and motivations? The north-south, country-town divide was everywhere apparent. Noticeably, there were several ex senior Planning Officers appearing here in somewhat different roles. John “Lesquende” Young now appearing as a St Brelade Deputy seemed to forsake the un-met housing demands of his own parish electorate and apparently wanted the buildings declared as “abandoned” too. His fellow ex officer Peter Thorne batted for the developers and presumably had come to different personal and professional conclusions. It all depends on who pays your fee of course and that is another issue raised elsewhere (try the Internet) about Planning Inspectors and the ability to be truly “independent”. After all, they are employed by and have their terms of reference set by, the very same Ministerial Department that ultimately lays down the planning policies that makes or refuses planning consent. 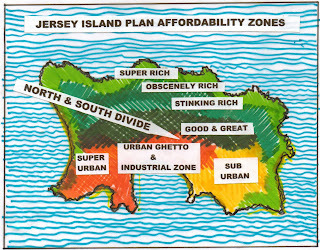 Bearing in mind that Jersey Planning Law now requires the applicant to show that an application is justified – rather than the traditional onus being with the government (or Planners) to show that it is not – the whole development control process seems to be potentially flawed…but who cares…eh! Since the discussion will now move on to the States chamber, the populations of the urban areas of St Helier, St Brelade, St Saviour and St Clement will have the opportunity to lobby and resist (or support) this latest Ministerial proposal, through their own elected representatives…. What a fantastic posting Tom Gruchy, very well done. I am Shocked, Tom - I had to sit down and have a coffee. I agree with you. A really good post that should set the cat amongst the pigeons. Presume you meant cat amonsgt the puffins?